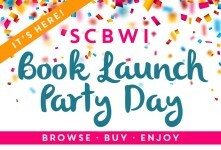 Home Posts tagged "The Inventor’s Secret"
If you’re a member of SCBWI (Society of Book Writers and Illustrators) you’ve probably heard about the big Book Launch Party which launched December 1 and features new 2015 children’s book releases. If you haven’t heard about the party, it’s about time you did! Illustrating THE INVENTOR’S SECRET—A Book Give-Away!!!!! And Suzanne’s Winners Announced!